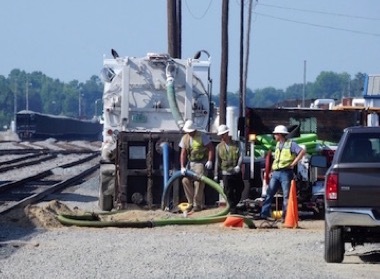 Remtech's sewer cleaning, location, inspection, and construction group has located, cleaned, and installed stormwater and wastewater management systems for major railroad, chemical, and manufacturing clients. 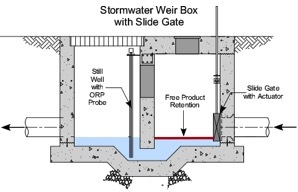 Segregation of process from clean stormwater is one of the most important elements in complying with stormwater pollution prevention regulations. 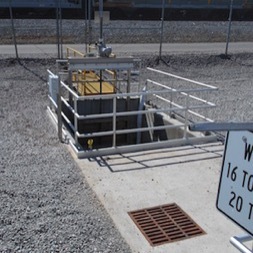 Environmental releases may be conveyed through unknown cross connections with stormsewers, leaking process or wastewater lines. A leaking fuel pipeline at an intermodal railyard was located using ground penetrating radar, and inductive/conductive tracing. 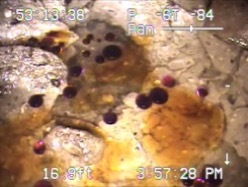 The cased fuel carrier pipe cross connection with a stormsewer was documented by video inspection and isolated employing 30" inflatable plugs. 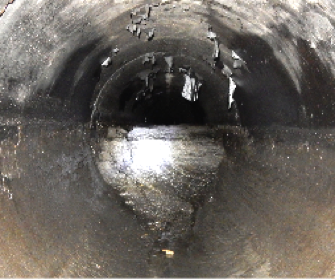 The stormsewer cross connection was uncovered and isolation valves were installed at two locations to facilitate pressure testing of carrier pipe segments to locate the leak point. The leaking pipeline was located over 15 feet below grade requiring large access pits to install the isolation valves. Over 1 millions gallons of contact water and stormwater had to be collected and treated to dewater the pits. The lines were cleaned by pigging and the damaged pipe system was replaced, tested, and x-rayed to verify the integrity of welds. 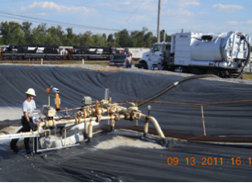 Groundwater remediation systems were installed in the test pits for total fluids extraction. Heavy deposits consisting of sand, lube oil, and other grease are difficult to remove by conventional jetting. Remtech developed an integrated vacuum and jetting pipe cleaning process VacuJet that cleans large pipes over long distance. 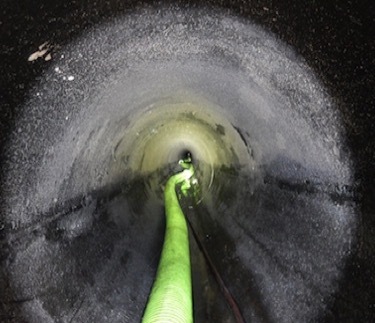 A jetting nozzle breaks up debris that is evacuated through a 300 ft 3" or 4" vacuum line moved through the sewer by a glide/pulley system and deposited in a vacuum box for disposal.